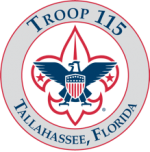 Troop 115, watch this space for a great year of camping. We are starting with starting with River Junction on Lake Seminole for Sept 26-28. 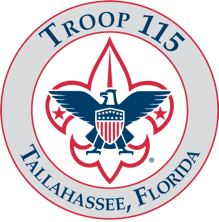 Other activities will include an air show, Wallwood Winter Camp, Providence Canyon, Paradise Lost, the SRAC Camporee, White Springs and our traditional deep sea fishing trip at the end of the school year. There will be other activities, opportunities and celebrations in the year to come. We are all looking forward to a great year ahead. The sign-up form will be posted to the website shortly.